2014 was a great year for BBQ sauce. The year brought with it a lot of innovation in the BBQ Sauce market and kept this segment of the specialty food industry as vibrant as ever as the popularity of competition BBQ and BBQ TV shows continues to rise. We saw new entrants from big companies with established names trying to expand their market reach. We saw new celebrities from food TV, baseball & football players, and even hard rockers launch their own products. And best of all, we continued to see large numbers of small businesses form around the love for their BBQ sauces – as diverse as the people starting them. BBQ Sauce Continues to Be Awesome. For years, I’ve had an alert setup in Google that looks for new stories that contain the word BBQ Sauce. Over the past year, the number has grown by leaps and bounds. In 2015, I expect it to keep growing – so it’s a great thing for the industry as a whole. People like making their own sauce, but there is always a market for products that make it simpler to prepare foods that taste great with a relatively low-cost. It’s not just about BBQ sauce on chicken. It’s ribs, pulled pork, burgers, chili, meatballs, cubans, dipping sauce, grilled cheese, pizza, rice & beans, and even certains types of fruits/veggies. BBQ sauce is a lot more versatile than even ketchup, I think. Stories Rule Over Ingredients: People love a good story and many times, a great story can overcome cheap ingredients. While I prefer those who can do BOTH, its hard to find. The sauce with a great label, a great flavor, and a great story will win over those who have focused too hard on inserting healthy ingredients into their products at the expense of appearance and taste. Those who can balance ingredients and taste (and profits), will win the prize in 2015. Distribution Rules. It’s a tough business driven mostly by local distribution. BBQ sauce bottles are heavy and shipping fees usually outweigh the cost of a single bottle. So the best way to make money off of them without losing money on shipping or force the customer to pay for shipping, is to bring a lot of them somewhere and sell them in the store. The profits are best when you can sell them at food markets, gourmet specialty shops, and grocery stores. That said, those who will do the best will have their sauce in stores, online, sauce-of-the-month clubs, sports stadiums, restaurants, and more. Regional Varieties Slowly Die, But States Still Matter. People now are less likely to care if a sauce is “Texas Style” or “NC Style” or “KC Style”. Most people just get confused when they hear these terms. People want to know the experience of a sauce in a way that they will understand: Sweet, Smokey, Tangy, Spicy, Salty, Chunky, Thick, Thin. I also like Warm, Smooth, and even Rich in some cases. But be proud of your state – there’s not enough state-oriented rivalry in sauces, and I’d like to see that kicked up a notch. Different Sauces really need to declare themselves and be proud of it. Most of the US compares their version of BBQ Sauce to highly available standards such as McDonald’s BBQ Sauce, Kraft BBQ Sauce, or even Sweet Baby Ray’s, which has surged in popularity of the past few years. 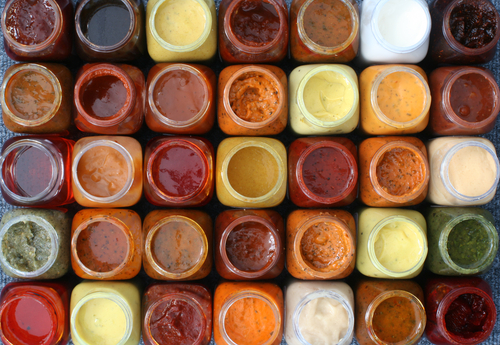 If a sauce is different, they need to compare themselves to these “average representations” and highlight the differences and what makes them special. Good commentary, Brian. I especially like and “connect” with your comment about regional sauces, and how the general public could care less now. Also, I’m totally with you about state-oriented sauces. I’m particularly proud and fond of a few Maryland BBQ sauces – Doomer’s Q, Red Brothers, and Abrams. Hey Brian, I think I have a sauce you’re going to love. email me.